One of these things is not like the others: Lights, Camera, Action, Bazooka!! 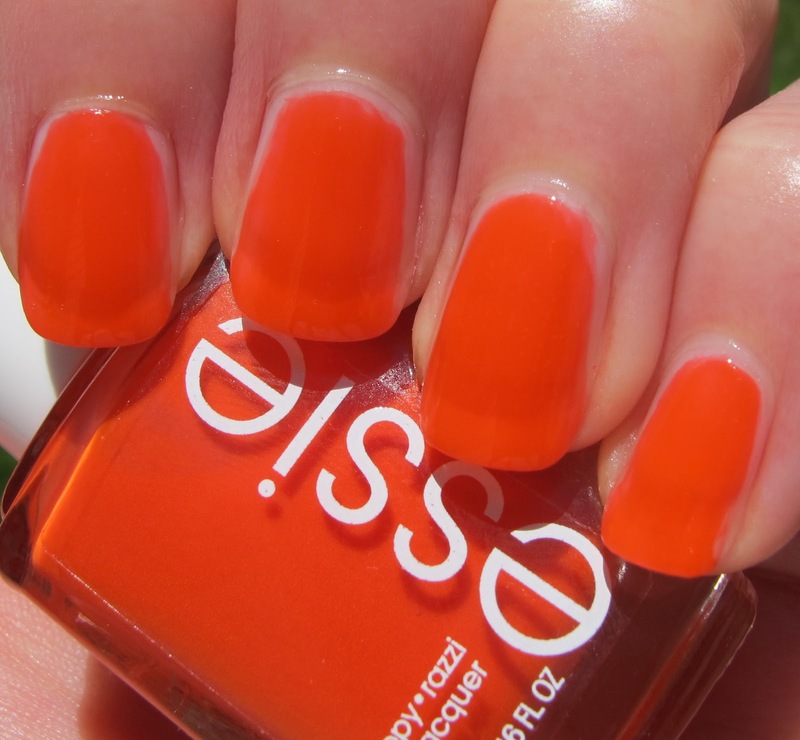 I'm talking about Essie Bazooka, from the Poppy-Razzi Collection. I have no freakin' clue what the name is supposed to indicate. It's probably not Bazooka gum, because this is not bubble gum colored. A Bazooka gun is an anti-tank weapon that launches rockets, so I don't know... maybe the celebrities get so mad at the Poppy-Razzi that they bring out their anti-tank rocket launchers? 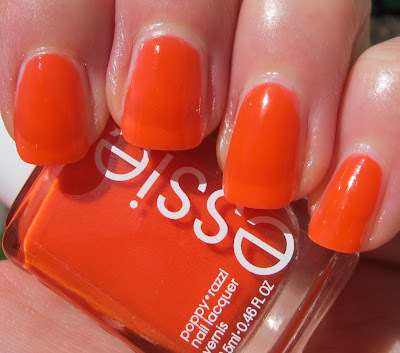 Anyway, just ignore the silly name, and look at this HOT red orange jelly polish! This is actually my favorite of the three Poppy-Razzi polishes I have. 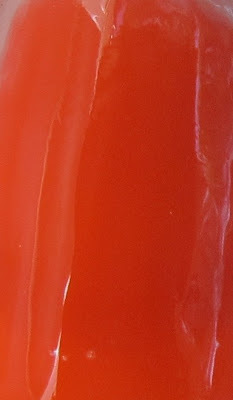 It's a good mix of red and orange, with a touch of pink thrown in for good measure. And it's BRIGHT! The formula was also really good, easy to apply and control. This is three coats and there is still VNL, but these are jellies or jelly-like at the least, so I don't think it would ever be completely opaque. 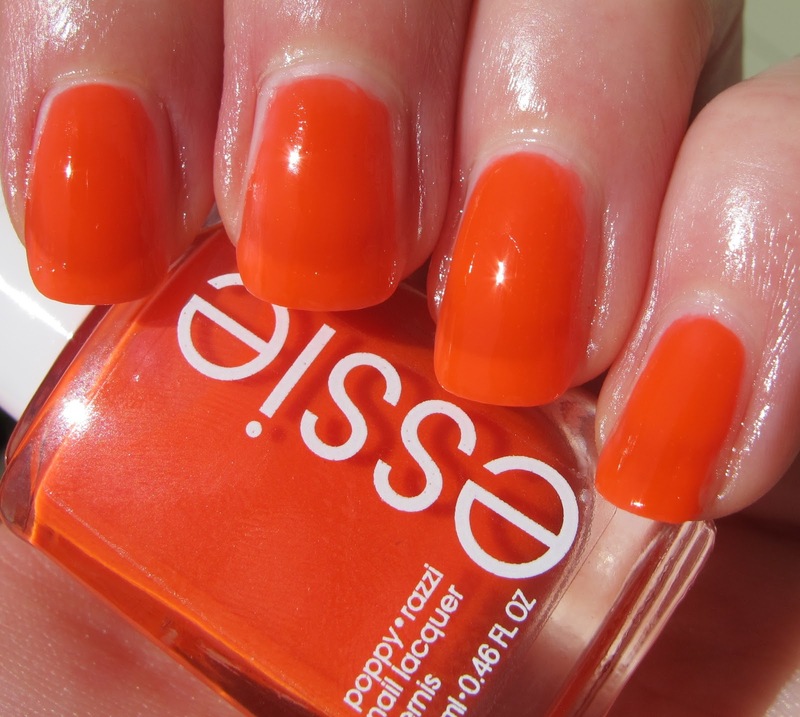 The Essie Poppy-Razzi collection is available now at a CVS near you!